Afraid of missing out on the latest photo industry news while you’re out, well, actually taking pictures? Photography News of the Week is all the news you might have missed this week, published on the weekends. Alongside the biggest stories of the week, like A.I.-created portraits, a Lego Leica, and 4G for your DSLR, find briefs on the latest in accessories and photography news from this week. Palette’s photo editing controls are now compatible with Capture One on MacOS platforms, the company recently shared. The update is compatible with Capture One 11 and 12, while older versions have more limited functionality. Palette is a collection of buttons, dials, and sliders originally designed for Adobe Photoshop and Lightroom. 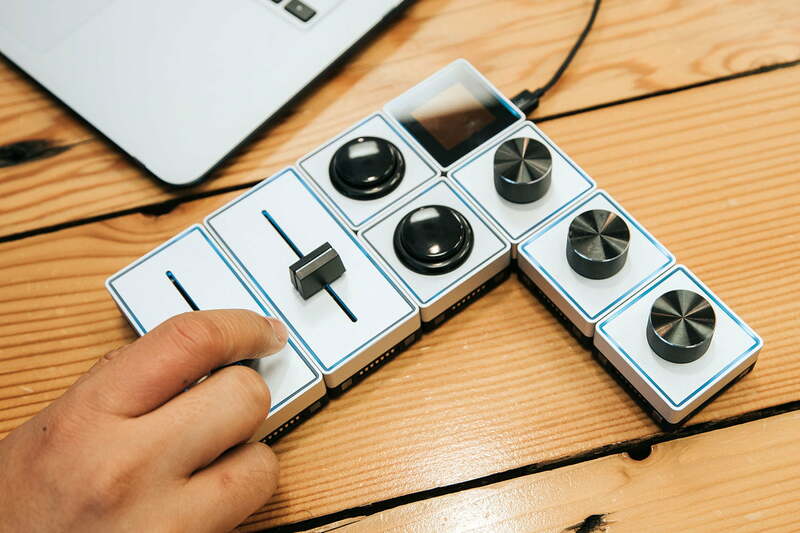 Each control sits on its own individual panel, which, using magnets, can be connected to the others for a control scheme that is customizable. The Capture One MacOS compatibility is available through a software update. Love the portrait mode look, but don’t have a dual-lens smartphone? Facebook Messenger is the latest to add artificial intelligence-powered background blur that is not dependent on what type of smartphone you use. The feature is now inside the Messenger camera along with the new Boomerang option (similar to Instagram’s Boomerang app). The update also adds new augmented reality stickers. The update is now live in the App Store and Google Play. Instagram launched a similar “portrait mode” feature for the in-app camera earlier this year. New firmware just gave the X-T3 and the X-H1 a bit of a boost, along with fixing minor issues. Updating to firmware 2.0 for the X-T3 enables 4K HDR video in 10-bit HEVC mode. The update also allows film simulation and F-Log footage to be recorded simultaneously. The new firmware also makes it possible to view the color temperature on the display. For the X-H1, Fujifilm says firmware 2.0 offers enhanced image stabilization when pairing the body with stabilized lenses, for up to 5.5 stops of stabilization on all five axes. Instead of splitting video files larger than 4GB into separate files, the camera can also now record continuously if using a 64 GB or higher SD card. The Fujinon XF 80mm F/2.8 LM OIS WR Macro lens also sees updated firmware in order to support the X-H1’s better stabilization. While VSCO originally launched with film-inspired Photoshop and Lightroom presets, its the company’s mobile app that’s taken off. To focus on the VSCO mobile app, VSCO will discontinue the brand’s Photoshop and Lightroom presets on March 1. The presets are still available on VSCO’s website, but after March, the company won’t be selling the presets. The company says their latest presets will lie inside the VSCO app, where VSCO X members receive first access to the newest presets.